ANSTO has contributed to research led by the University of Sydney, involving doping transition metals in a polymorph of bismuth oxide in a search for more structural stability. Cubic high-temperature polymorph of bismuth oxide, δ-Bi2O3, is the best known oxide ionic conductor but its narrow stability range (729 - 817 °C), which is close to its melting temperature of 817 °C precludes its practical use. A large collaboration, led by Professor Chris Ling and Dr Julia Wind (as part of her PhD) from the University of Sydney involving researchers from ANSTO and two other universities, has achieved the design and understanding of the complex crystal structure and chemistry behind a commensurate structure within the fast-ion conducting stabilised bismuth oxide, co-doped with chromium and niobium, Bi23CrNb3O45. The study was published in the Chemistry of Materials. Dr Zhaoming Zhang from ANSTO provided her expertise in X-ray absorption spectroscopy to the study. Low and high energy X-ray absorption near edge structure (XANES) data were obtained from the soft X-ray (SXR) and X-ray absorption spectroscopy (XAS) beamlines at the Australian Synchrotron respectively, and medium energy XANES data from the ‘Tender’ beamline at the National Synchrotron Radiation Research Center (NSRRC) in Taiwan, which helped to clarify details of the complex superstructure, in conjunction with neutron, synchrotron X-ray and electron diffraction, high resolution transmission electron microscopy and ab initio calculations. “Spectroscopy is very important in this case because of the variety of possible oxidation states and local structures for the transition metal dopants,” said Zhang. 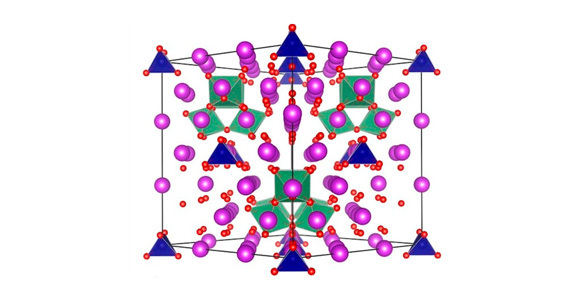 The researchers had sought to find a truly commensurate version of the incommensurate Type II phase of bismuth oxide doped with mixed valence transition metals, in which a 3 X 3 X 3 supercell structure was ‘locked in’. In a "normal" crystal, the crystal is built by repeating the unit cell by translation along the 3 directions of space. For modulated structures, the periodicity is in more than three dimensions. If the ratio of the modulation period to the unit cell length is rational then the modulation is called ‘commensurate’, otherwise it becomes ‘incommensurate’. Because the modulation vector ε varied with both the type of transition metal dopants and the bismuth to transition metal ratio, the investigators had two independent variables to chemically tune the composition in search of a commensurate ε = 1/3 structure, which was found in Bi23CrNb3O45. 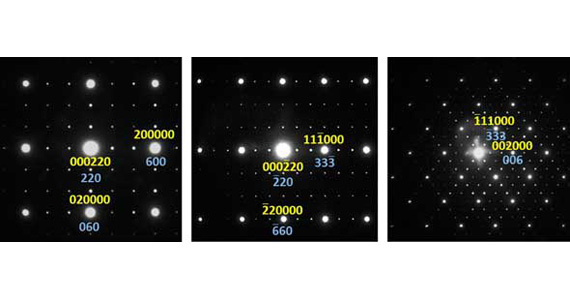 “Interpreting the spectroscopy data was somewhat challenging because of the complexity of the superstructure. The results not only confirmed the presence of hexavalent chromium and pentavalent niobium in Bi23CrNb3O45, but also informed us that each niobium is surrounded by six oxygens and chromium by four oxygens,” said Zhang. “Although doping of bismuth oxide with rare earth metals exhibits higher conductivity, the transition metal doped bismuth oxides may offer better long term stability,” said Zhang. While this was a fundamental study, bismuth oxide is of considerable interest as a material because its mobile oxygen defects can act as carriers of charge in ionic devices, such as solid oxide fuel cells. Collaborating organisations included the University of Sydney, ANSTO, the University of South Carolina in the US and the Australian National University. 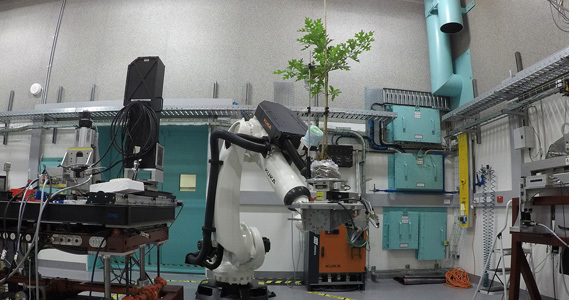 Neutron and synchrotron X-ray diffraction data were collected on the Echidna instrument at the Australian Centre for Neutron Scattering (ACNS) and the powder diffraction (PD) beamline at the Australian Synchrotron, with the assistance of Drs Max Avdeev and Justin Kimpton respectively. Drs Peter Kappen and Lars Thomsen assisted with the XANES experiments on the XAS and SXR beamlines at the Australian Synchrotron.